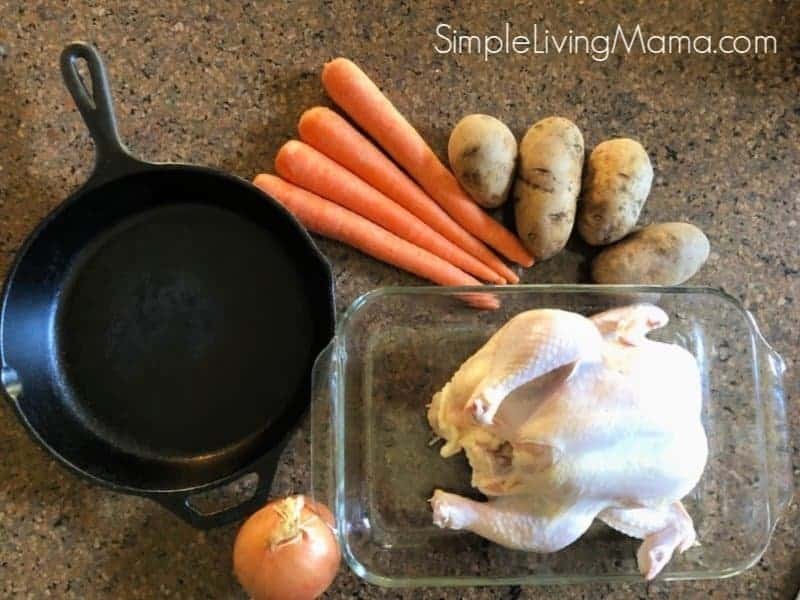 One of my family’s very favorite simple dinners is roast chicken with vegetables in a cast iron skillet. It’s cheap, easy to put together, and can go a long way for a smaller family. 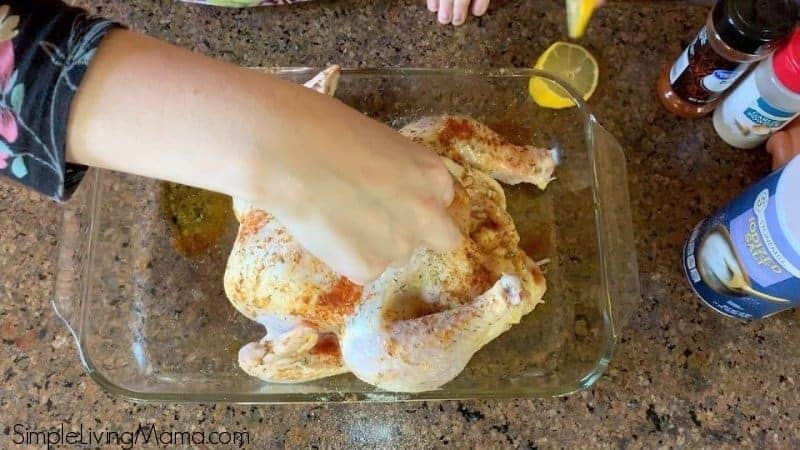 My family of eight demolishes one 5 pound bird in a sitting, but if you have a smaller family, you can stretch this chicken for a few meals. It’s in our rotation of cast iron skillet recipes! Let me start out by talking about cast iron cooking a little bit. I love using my cast iron skillet for everything from breakfast to dessert. It’s so versatile because it can go from stovetop to oven with no issues whatsoever. 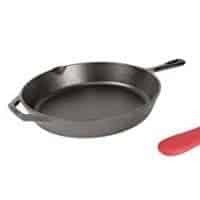 It also has a non-stick surface that only gets better the more you use it. 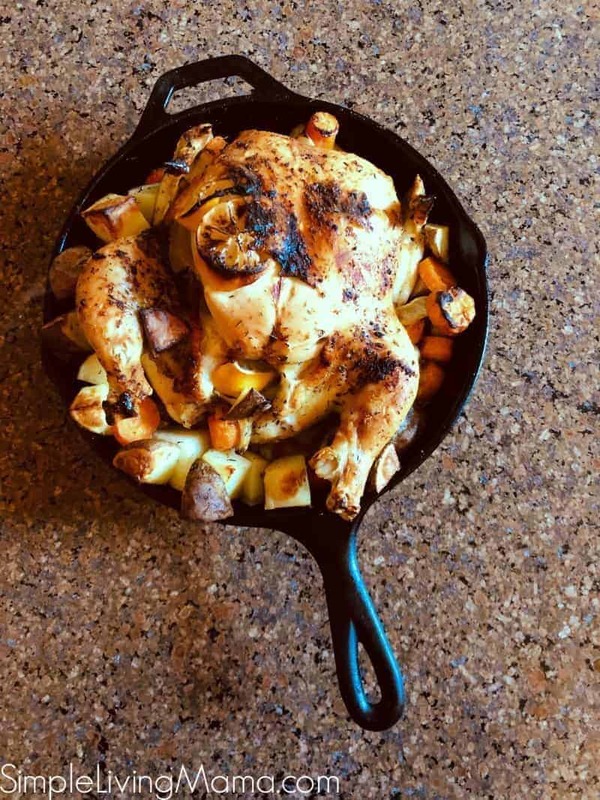 I definitely suggest using a 12 inch cast iron skillet for this roast chicken recipe, but I was able to use my 10.25 inch. Now, let’s get to this roast chicken and vegetables recipe! It couldn’t be simpler. 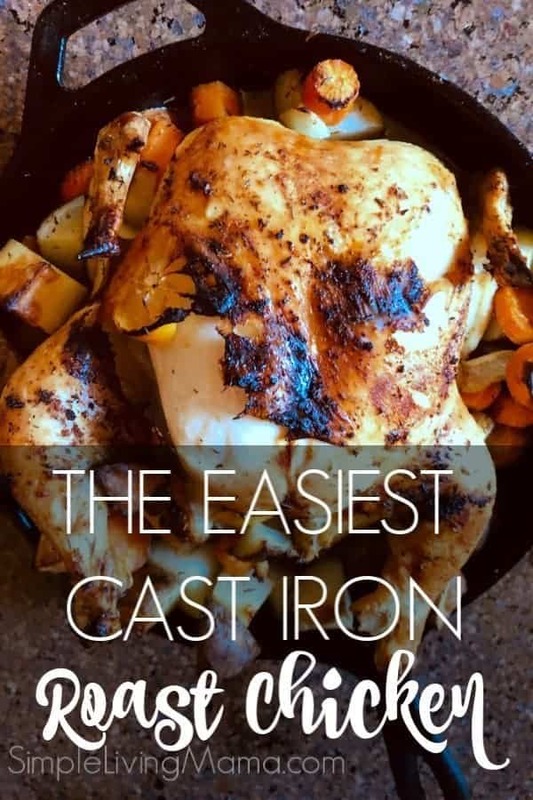 You’ll need a 4-5 pound whole chicken, potatoes, carrots, onions, olive oil, salt, and seasonings/herbs of your choice. In this recipe we are using a whole lemon, paprika, garlic powder, and dried thyme. Before you get started, you’ll want to take your chicken out of the packaging, remove the pack of giblets from the cavity, and rinse it really well. I pat mine dry with some paper towels and then set it in a baking dish to dry. I will come back a few minutes later and add some salt to the entire outside of the chicken. 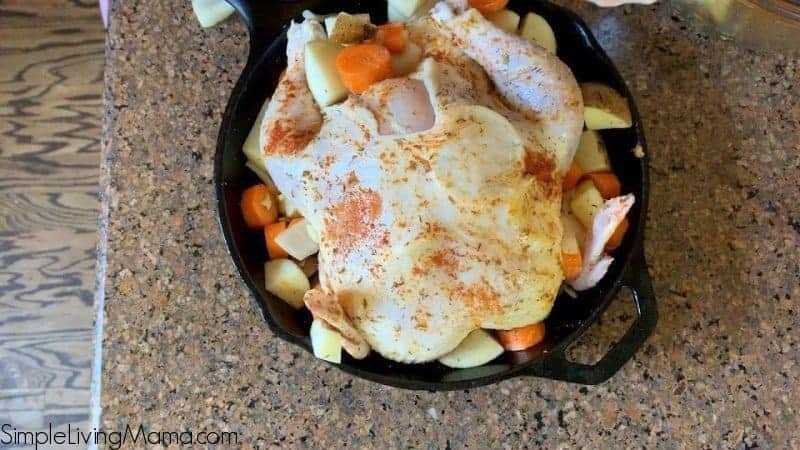 While the chicken is sitting, you’re going to want to heat your cast iron skillet. Pop it into the oven and and preheat to 425 degrees Fahrenheit. While your skillet is preheating, it’s time to prep the vegetables! 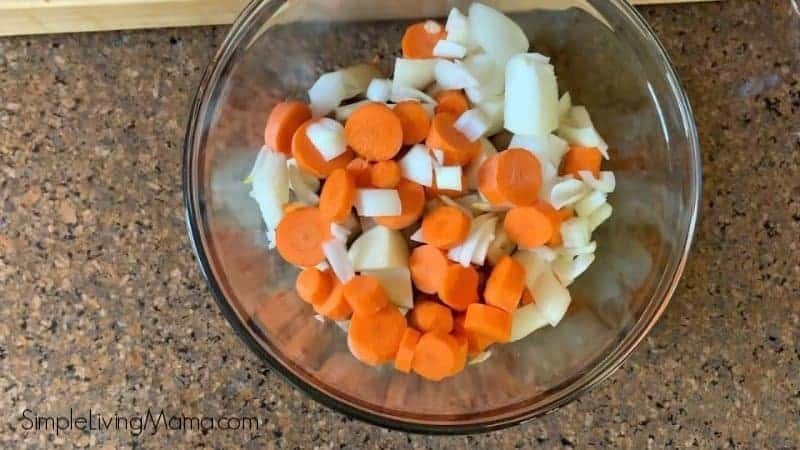 Rinse and scrub the potatoes, peel the carrots, and chop half of the onion. 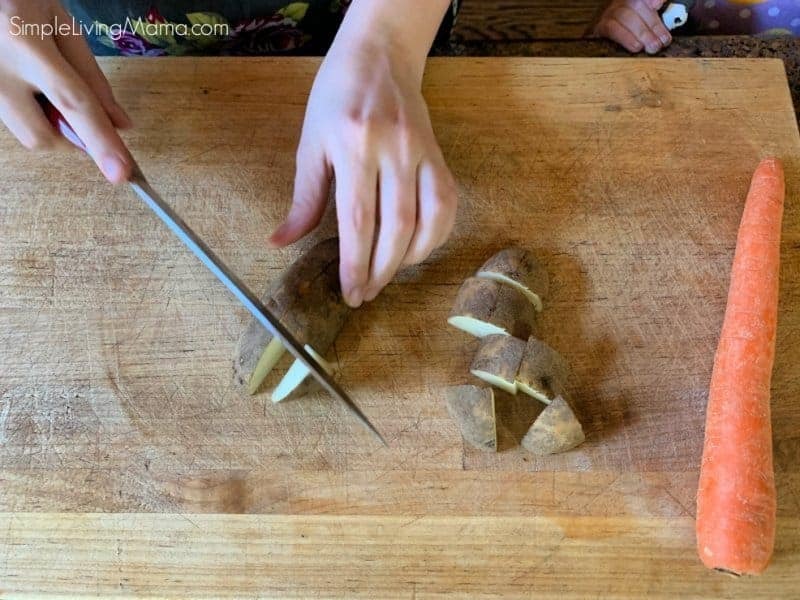 You’ll also want to go ahead and chop the potatoes into bite-sized pieces. 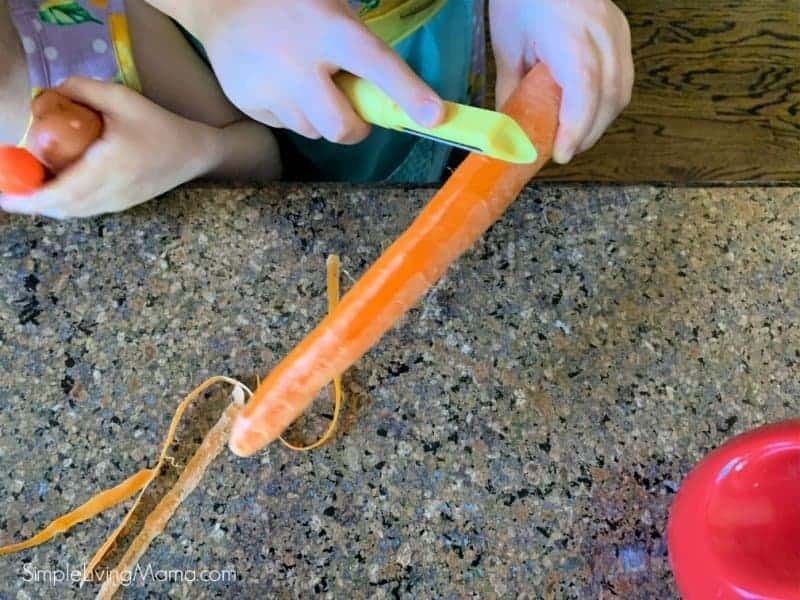 I chop the carrots into rounds. Once you have all of your vegetables in a bowl, season with some olive oil, salt, pepper, garlic powder, and paprika. Mix the vegetables to get them coated with all seasonings. Now we are going to season our chicken! To begin, stuff the cavity with half of the onion and half of a lemon. Now, season the chicken. First, rub olive oil all over the chicken. The olive oil will help the chicken get crispy. Then, rub your seasonings all over. Today we are using salt, garlic powder, paprika, and dried thyme. I’m also going to thinly slice the other half of the lemon and place those slices under the chicken breast. This is going to give the chicken incredible flavor. You may also want to tie up the chicken’s legs with some twine, but I usually skip this step. Carefully remove your heated skillet from the oven and pour a bit of olive oil into it. Place your chicken into the skillet, but be careful because it may splatter some. Once you have your chicken placed, put your vegetables all around your chicken. The juice from the chicken will give your roast vegetables a delicious flavor. 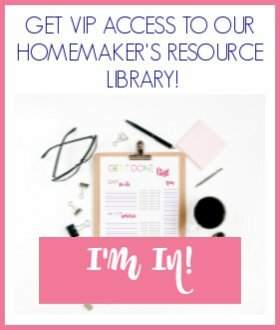 Be sure to watch me and my daughters prepare this recipe! Bake the chicken in the oven at 425 degrees for 50-60 minutes. Use a meat thermometer to test the thickest part of the chicken for an internal temperature of 155 degrees. Let the chicken rest for 15 minutes. It will come up to the temperature of 165 degrees. Slice and enjoy your chicken! This is definitely a staple in our house. Soon I will have to make two chickens to feed our large family, but it’s still a frugal option that we all enjoy. Serve this with some biscuits for a full meal! 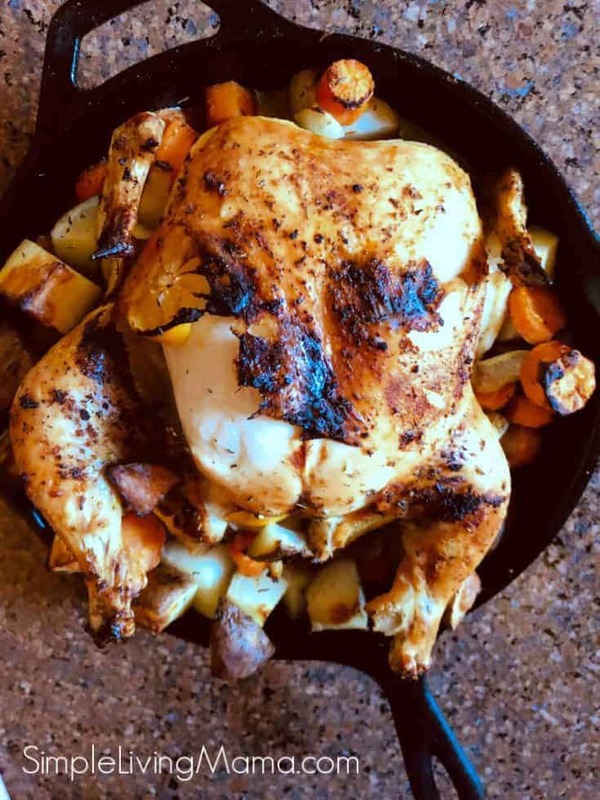 A delicious roast chicken and vegetables in the cast iron skillet recipe. Rinse whole chicken in sink and pat dry with paper towels. Place in baking dish and sprinkle with salt. Preheat oven to 425 degrees and place cast iron skillet in oven while preheating. Place chopped vegetables in bowl and season with olive oil and seasonings. Place half the onion and half the lemon in cavity of chicken. Season chicken with olive oil, salt, pepper, paprika, garlic powder, and dried thyme. Carefully remove hot skillet from oven, add olive oil to the skillet, and carefully place chicken in the skillet. It may splatter. Place vegetables in skillet around chicken. Bake in oven for 50-60 minutes until meat thermometer reads 165 degrees. 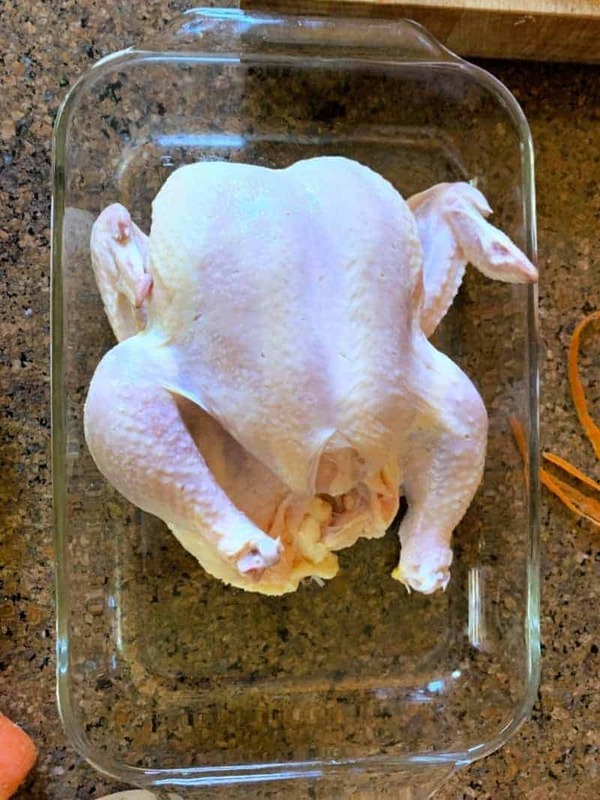 Let chicken rest 15-20 minutes before slicing.